Most homeowners don’t know where to start when it comes to buying vinyl siding. To make the process as easy as possible, we have compiled a list of what to look for when you go shopping for your new house siding. Has it been impact tested? Most siding has been tested to withstand winds of up to 110 miles per hour, but if you live in a windy climate make sure to double check this. Look for panel thickness that is at least .44 inches and make sure it has been impact tested to withstand heavy storms. It should also have an insulated backing in order to provide more strength and impact resistance to protect the interior structure of your home. What types of siding you want? Board and batten — a style that has wide, vertical boards with thin strips to cover the edges of the boards when they come together. Lap — when two horizontal panels overlap. Dutch lap — horizontal panels overlapping with beveled edges, giving an appearance of extra depth and shadows to the home. Log — vinyl siding that has the appearance of curved, wood logs. How much siding to purchase? It is always a good idea to purchase more siding than necessary, because you will want to make sure you have enough in case any becomes damaged during the installation process. As a rule of thumb, purchase your siding in squares, which is a 100 square foot piece of material. A perm rating is the measure of how quickly moisture can leave the home. This happens through simple everyday activities such as cooking, washing dishes, and showering. 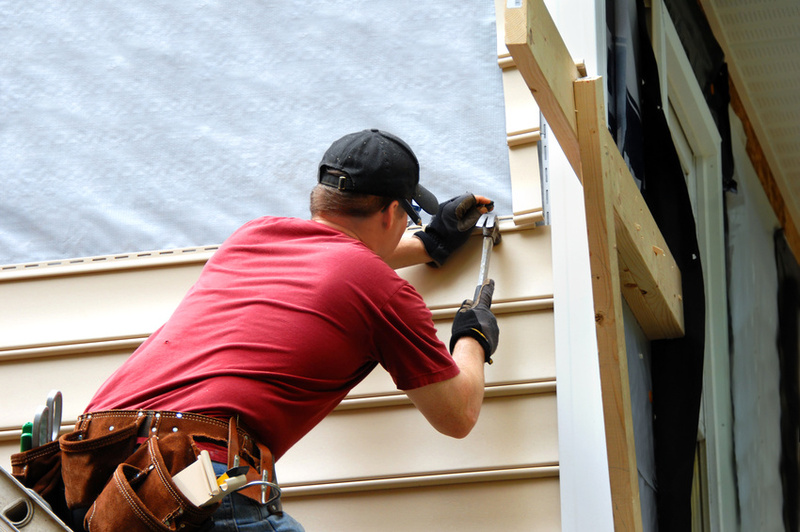 Your siding can help to protect the wooden interior of your home from becoming damaged. Purchase siding and a home wrap with at least a five perm rating. Always use extra reinforcements such as caulk when it comes to the parts where your windows and doors meet. These structures tend to wear down quicker and are more prone to structural damages, so reinforcing the siding with extra installation is a key for longevity. Looking for some new home siding? Call our professionals today!